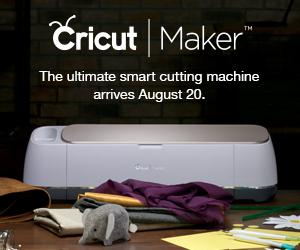 There are times when a project turns out even better than I imagined. 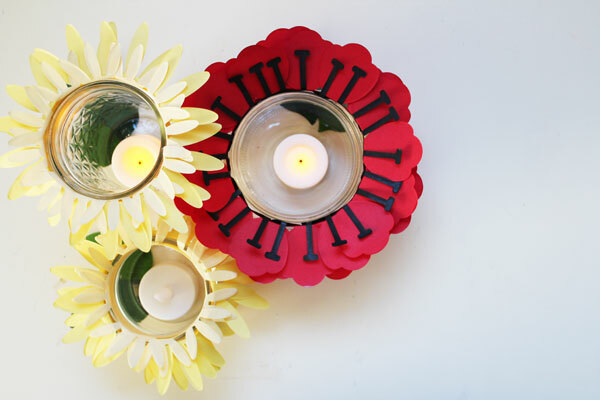 These flower jar tea lights are a perfect example. I needed just 3 supplies to make them, they come together easily with no fancy skills or techniques, and they look amazing. These flower tea lights are great decor – and would make the perfect decor for a Mother’s Day brunch! 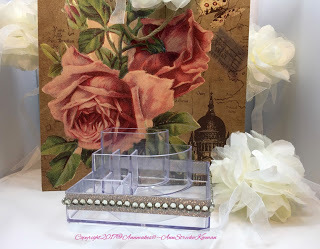 This project is part of a week-long series of Mother’s Day crafts that my friends Angie from the Country Chic Cottage, Adrianne from Happy Hour Projects, and I have put together. Each day we’re sharing a new Mother’s Day craft that can be whipped up in 15 minutes or less for Craft Lightning Mother’s Day. And we’ve invited some of our crafty friends to join in. 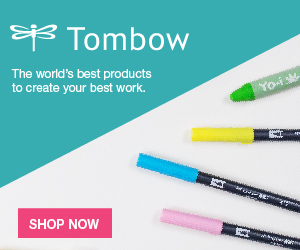 Scroll down to the bottom of this page to find links to all of their great ideas! 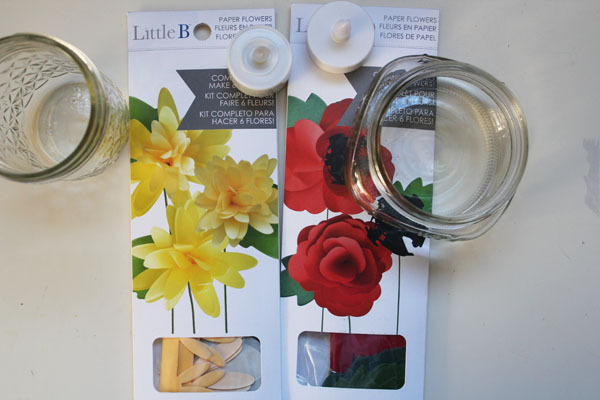 With the self-adhesive petals, these flower jar tea lights are so simple to put together! I used two different flowers that I thought would look great – but there are lots of other fun options for different flower petals to use! 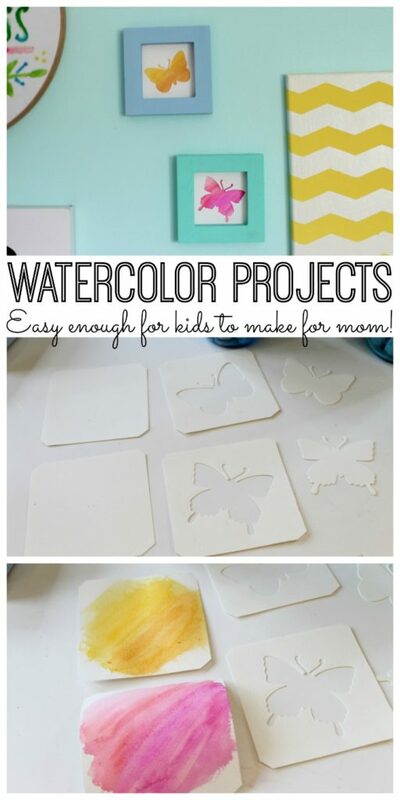 Looking for more fun and fast Mother’s Day craft ideas? 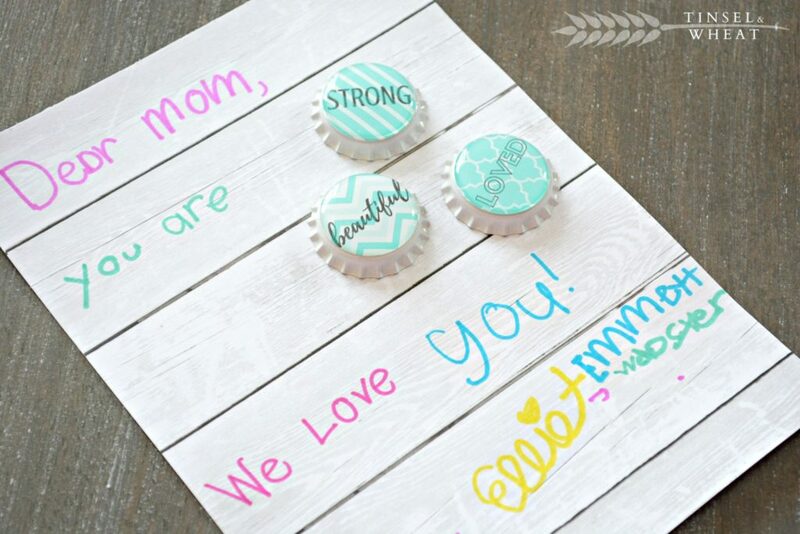 Check out these quick Mother’s Day craft ideas! 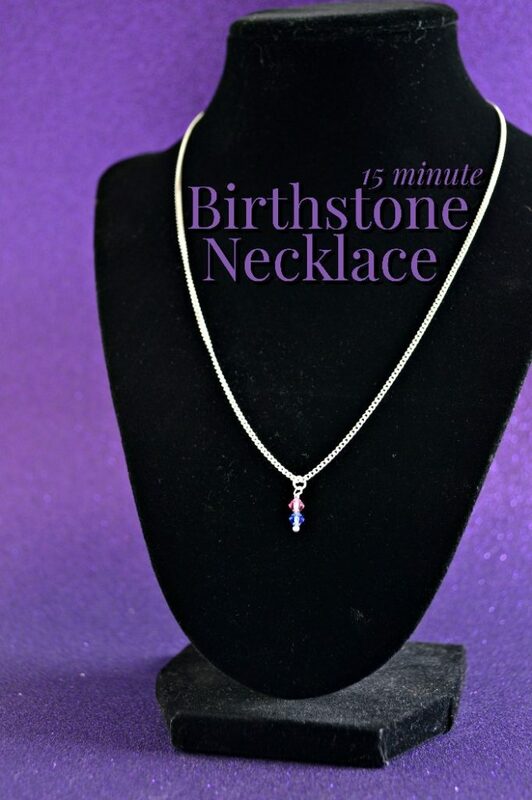 I love this simple birthstone necklace that Jessica over at Mad in Crafts whipped up. 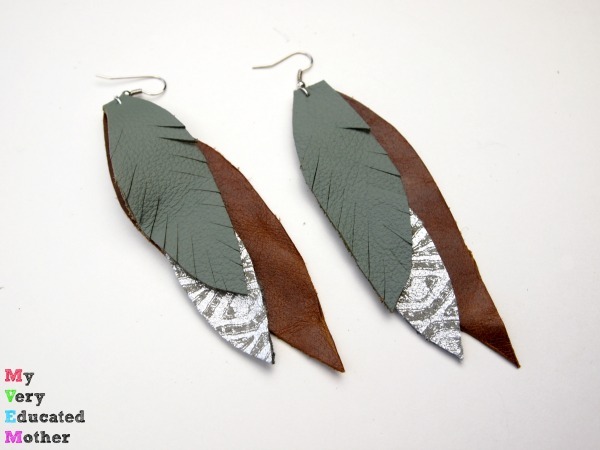 My Very Educated Mother shows how easy it is to make leather feather earrings for the moms in your life. Learn how to put together this organizer for mom over at Ann Makes. 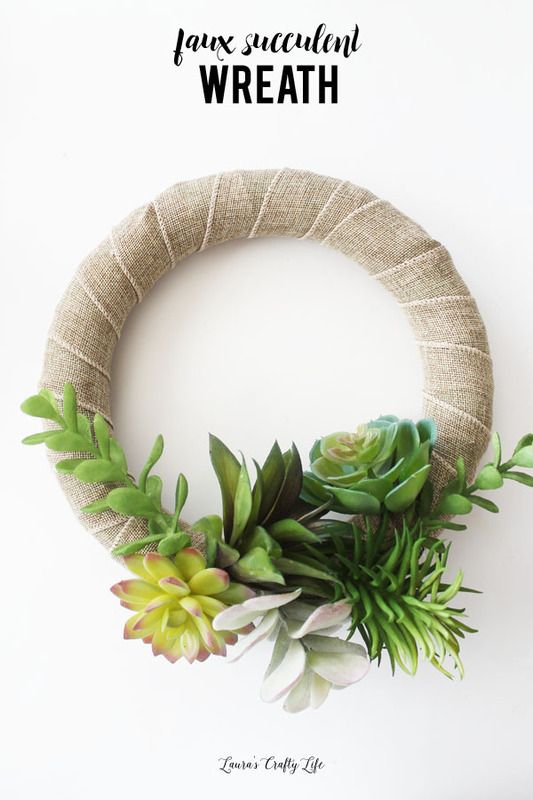 Mom will have a smile on her face each time she walks in the door if you make her a faux succulent wreath like this one from Laura’s Crafty Life. 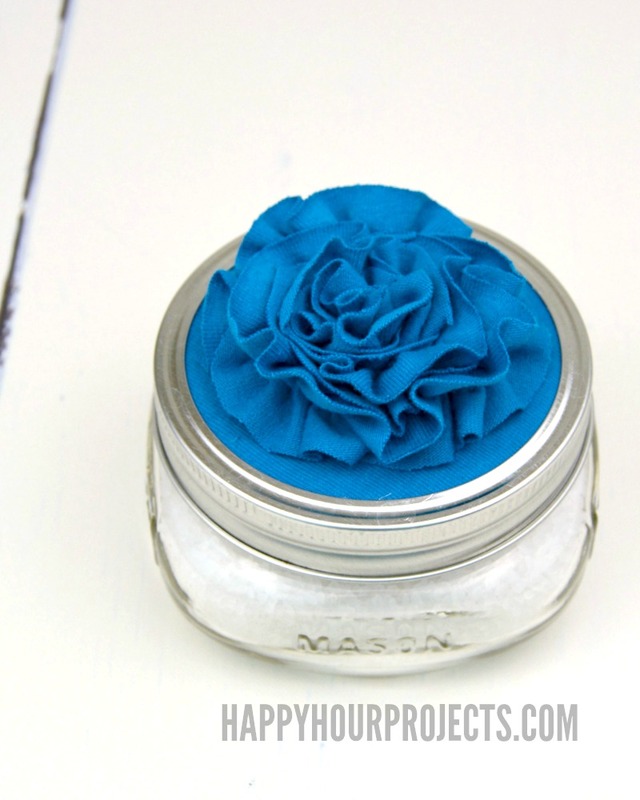 Tinsel and Wheat shows you how to make these bottle cap magnets for mom. 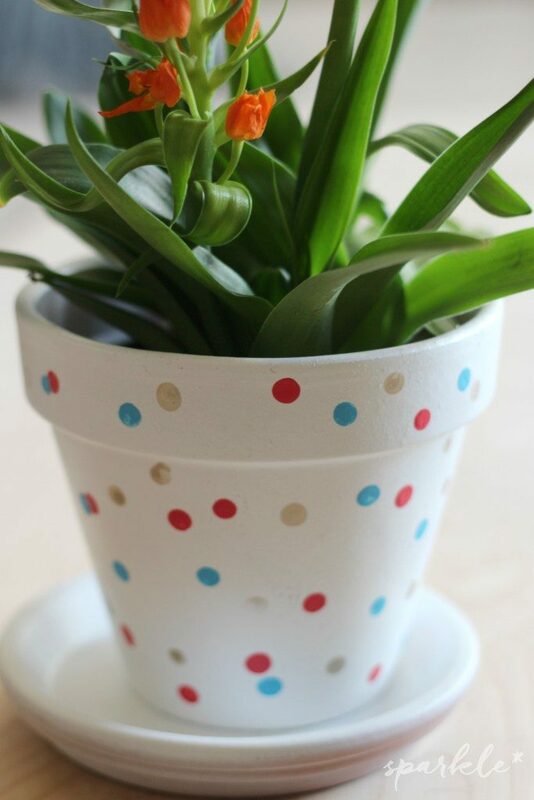 If you give mom a plant for Mother’s Day, consider gifting it in a hand painted confetti pot from Sparkle Living. 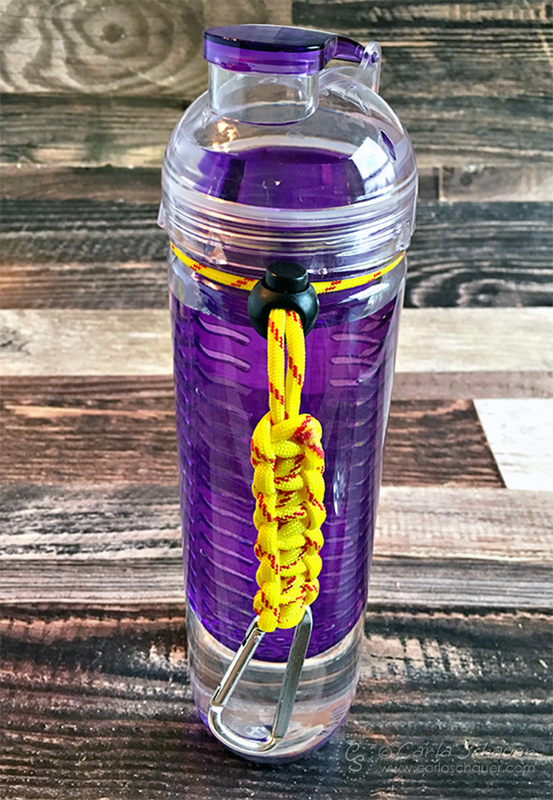 Moms on the go will think this paracord wattle bottle holder from Carla Schauer is a thoughtful gift! 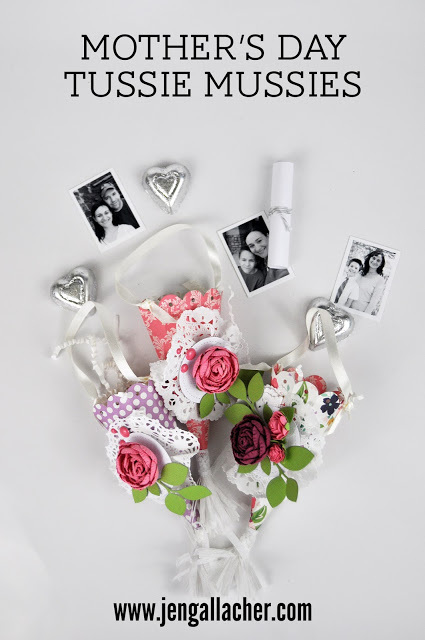 Jen Gallacher shows you how to creat these Mother’s Day tussie mussies. 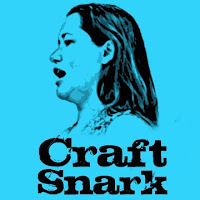 Adrianne, our guest co-host this week puts together bath salts in a floral jar. 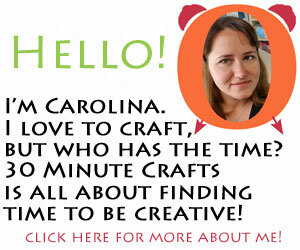 And Angie, my long-standing Craft Lightning co-host created some very pretty die-cut watercolor art. 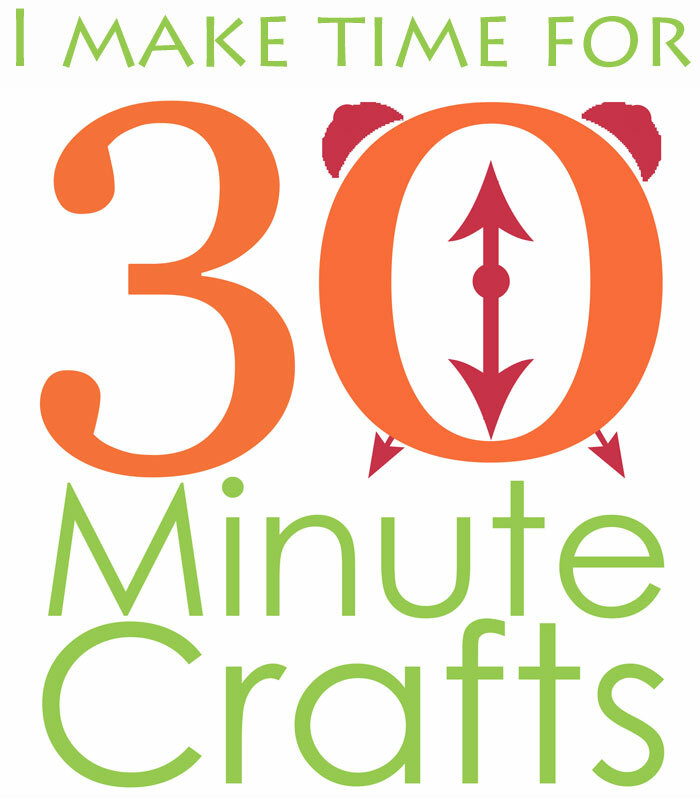 Be sure to stop back by tomorrow for even more fast and fun Mother’s Day crafts you can whip up in 15 minutes or less!